As a native of Portland, Shannon is well acquainted with all areas of the city, the surrounding suburbs, and what the various neighborhoods have to offer. Her 14 years of experience working in the real estate industry has helped to develop a true understanding of how a house has to function to become a home and knowledge of architecture and design, which can help in the evaluation and potential enjoyment of a home. Shannon has the ability to provide solid counsel. Her knowledge of real estate matters and absolute trustworthiness are invaluable in the process of any transaction. Having worked for 15 years as a manager of assets for executives living locally and in Europe, Shannon has developed and maintained the trust, organization, professionalism, and effective negotiating skills inherent to the business of real estate. Recipient of the Elizabeth Potter award from the State of Oregon Historic Preservation Office for work in restoration, remodeling and design in residential homes and commercial buildings in Oregon. The award provided for the attendance to a week long historic preservation conference in Mobile, Alabama where the art of preservation was taught by national and internationally renowned craftsman. For a look into the history of Shannon’s real estate business before she joined Living Room Realty, you can view her blog that documented her sales, press exposure, testimonials and insights as an agent from 2009-2016. Co – Executive producer – From the Land of Ice and Snow, a compilation CD, 6 years in the making. Led Zeppelin covered by eminent NW musicians. I co-produced the live show ( it sold out ) and the release of the album at Doug Fir Lounge. Press from National Public Radio and all of the local print media. Websites/blogs wrote stories on an international level. Co-producer – of the final live concert held at the venerable Berbati’s Pan, venue opened in 1994, closing show on New Years Eve 2010. Hired publicity, managing band necessities, managed merchandise sales, venue and supporting staff’s expectations. We recently worked with Shannon Baird as our representative in the purchase of a commercial space for our business and would recommend her without hesitation. Real estate transactions need the attention to detail, daily communication and fluid responses that Shannon provides. Our deal had a few obstacles and Shannon guided us every step of the way and made us feel confident and well taken care of, she definitely looks after her clients and is the realtor they will seek out for future real estate needs. Arent Wortel & Cassie Cuozzo, Right Arm Construction, Inc.
Shannon was an absolute dream to work with. We knew as soon as we met her that she was the right agent for us. Not only is she an expert in the nuances of the local market, but she’s thoughtful, caring, communicative, and thorough—a pleasure to be around. Throughout the process of buying our new home and selling our condo, she was available when we needed her, and completely committed to the task at hand. She’s a gentle communicator, but a fierce negotiator—we had complete trust in her throughout the process. And we’ll be great friends for a long time to come…highly recommended! Shannon is amazing. . She is like the Leatherman of realtors- she can do anything you need and do it well. After purchasing two homes through her, we couldn’t recommend her enough. She is a professional that knows the industry from a 360 degree view. While you are looking at the living room wondering where your couch can fit and she’s looking at the structure, the wiring, the water heater and the roof. If you love everything but hate the kitchen—she can offer ideas for making it awesome. She knows if a house is a good investment for your goals or someplace to leave behind. Shannon is a powerhouse of house hunting skills. Shannon “Powerhouse” Baird. That should be her middle name. Shannon Baird helped us find our house like a swarming pack of jackals on a gazelle. (Vegetarian version) Shannon Baird helped us find our house like a thumping pack of jackrabbits on a cabbage patch. Shannon’s skills are equal to a Bobcat, Cobra, and a Coyote, if you put them all together, and then made them a realtor. Shannon is THE best, and is also a brilliant interior designer (y’know, in case you are in love with a house but want to change a few things about it, she’s got you there, too). She sold Dave and I a house, and has worked with literally every one of my home-owning friends in Portland. She works with Living Room Realty and is a DREAM—an amazing listener, a tireless advocate and a fierce and heart-centered negotiator. She will become not only an asset to your home search, but a gift in your life. I love her more than I can say, and am in awe of what an incredible force she is in realty in Portland. CHECK HER OUT! I handed Shannon a nearly impossible task: to turn my small budget into a beautiful, vintage home in a prime location in a housing market that’s on crack. She's a talented, smart, driven, fun and beautiful soul but it was a tall order for anyone.She did warn me it would be challenging but was also confident we could do it. It did turn out to be quite challenging! Oh my stars, it's a madhouse out there. I ate so much dust in so many offers over four months, all while living in my brother's attic. But Shannon, and her lovely assistant Anna, kept me even when spell of attic fever and desperation set in around late August and I started looking at questionable properties in areas I had no interest in living! They were so good to me, real-style. When I was away at artist retreat in Washington, Shannon went and saw a house for me. And when Shannon was busy, Anna had me covered. They are a delightful team. They became so personally invested in the quest. We laughed and we cried and we ate dust and we wrote offers and letters and then, one fine day in October, Shannon procured a near-miracle: the most adorable doll-house of vintage apartment and painting studio in Belmont UNDER budget. What a wonderful, dimensional ride which resulted in a warm welcome, the perfect spot, and new friendships with beautiful people. Wonderful. We did it! Thanks so much for your support always and as always it was wonderful to work with you again—you are truly amazing at complexity busting and making the complicated simple. My journey with Shannon helping us to sell my mom’s house was a great experience. . For me Shannon turned a stressful situation into a peaceful and calm transition. Shannon and her assistant Anna helped us clean out our mom’s house. Words can’t say enough how much that meant to us that you took time out of your schedule to be with us. The experience that my family had working with Shannon was great. She never made us feel like we were a bother, she helped us with things that we were not aware of, and answered all of our questions. She gets the job done without you feeling overwhelmed. What surprised me the most is that Shannon show’s so much compassion for family, and it not just about the money. She has a genuine heart, and I would recommend her to others. Thanks for everything that you did for us. We truly appreciate it. The importance of finding the right agent is paramount in today’s home buying market. 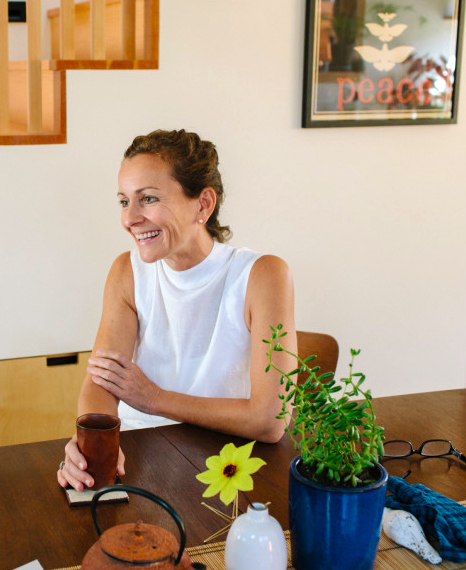 We were lucky to have Shannon navigate us through Portland's real estate landscape. She invested time to understand our needs and establish a personal connection with our family. Armed with this information Shannon was able to expedite our search and focus on the listings that were relevant to us. Our ideal home was a tall order and being in a sellers' market didn't make things easy. After all, finding the right house is one thing but being the winning bidder is another. Through Shannon's wit and wisdom we found and 'won' the perfect home. Our family couldn't be happier!! We are ever so thankful for Shannon's professionalism and hard work. She's the best! JUST LISTED – One-Level Woodstock Dream-life! When you list a house you Love. Easements, laterals and Siamese splits – oh my!